In this webinar Matt Luttrell will discuss reverse marketing strategies to place priority jobactive and DES job seekers into the hidden job market. The focus is on making contact with specific employers. It will explore getting the job seeker and employment services practitioners ready to make a reverse marketing call, and how to manage the call including handling objections. The focus of this webinar is not on vacancy development for job matching. So what can you expect? It will cover becoming “one” with the employer so that we understand the fit with the employee and the new opportunity that presents. Reverse marketing isn’t all about providers getting a placement, it’s much bigger than that! The placement is the result – the real key is understanding what the employer is looking for and matching a strong candidate to an opportunity. 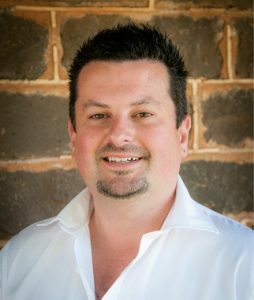 Matt Luttrell has over 15 years’ management experience that includes many years managing hotels in Melbourne and Geelong and over 10 years’ experience in employment services. Within employment services Matt started his journey in recruitment and developed into senior management positions where he developed an extensive network and is well regarded for building key stakeholder relationships within the industry. Matt lists his strengths as integrity, honesty and accuracy, all of which are critical components when building and maintaining relationships with key stakeholders. This live broadcast will include ample Q&A time. It is expected to run for no more than an hour. Registrants will receive a PDF copy of the presentation.